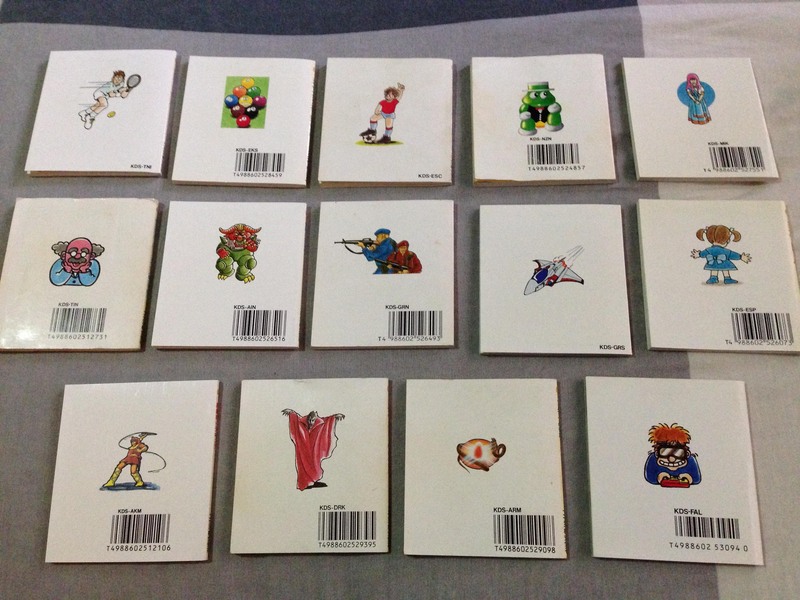 Konami’s Famicom Disk Manual Back Covers – Nintendo Sega Japan! There was a point in time where Konami were the world’s best developer of video game software. They also had the best box art and the best presentation. Today, I’ll focus on one element of this – the back of Konami’s Famicom/FDS manuals. While their box art was the best in the business (I’ll save that for another day) an awesome little detail they started right off the bat on the Famicom was unified presentation. Their first gen of games came in Orange boxes, and had a unified design that mimicked Nintendo’s ‘pulse line of games. 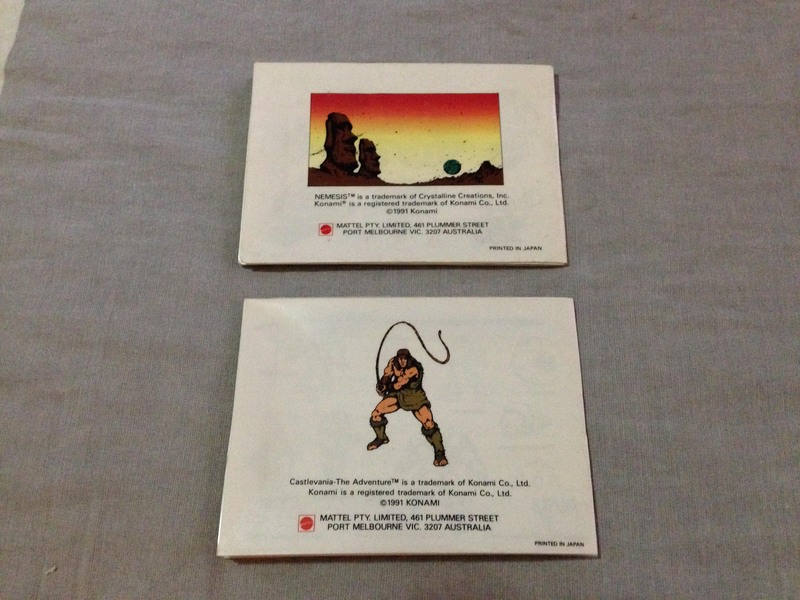 The manuals similarly were uniform, with a plain (old) Konami logo on the back. Upon rebranding the company with their awesome ‘two ribbons’ logo, a new motif began, and was maintained for the rest of their Famicom/FDS run. 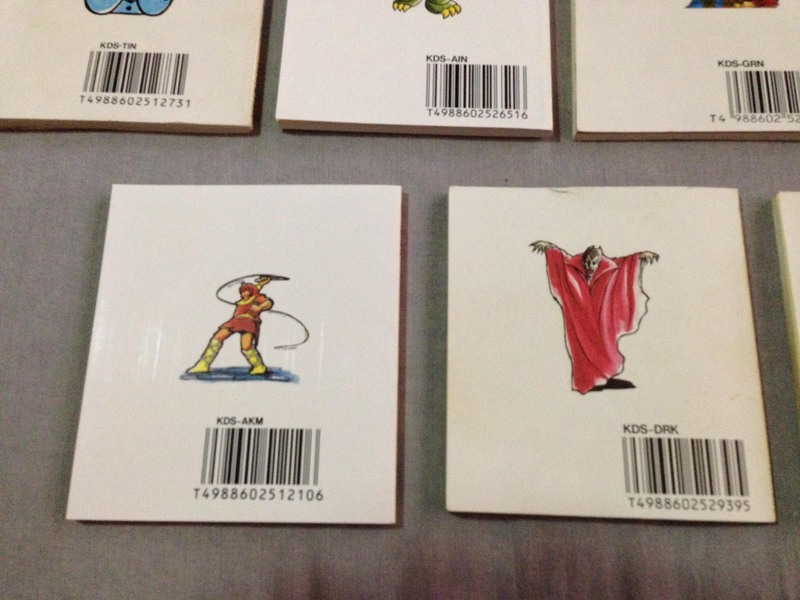 All boxes (or manual covers which doubled as box art in FDS games) would have the Konami logo top left, and the back cover would feature a single small image representative of the game. It’s most prominent on the Famicom Disk games, as they had full colour manuals. While Konami had similar branding discipline for at least a few years in the US with their awesome silver box line, their NES manuals simply had the game logo on the back. But interestingly, their silver box Game Boy games continued the trend. Pingback: Konami Orange Box Famciom line – complete set – Nintendo Sega Japan!